Learn How Kyle Chapman Motors Can Help with Your Credit Situation! Is your credit good? Bad? Kyle Chapman Motors can help customers in any credit situation! 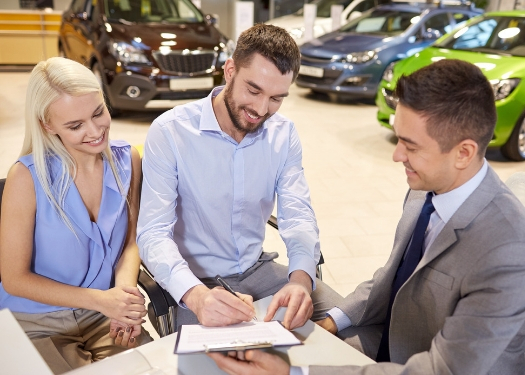 If you are thinking about purchasing your next vehicle, you most likely have wondered if your credit score is good enough to get a good loan rate. It can be difficult to find dealerships that will work with you if you have limited or poor credit. Consider taking your vehicle interest and financing help to Kyle Chapman Motors! Keep reading below to learn how they will help you no matter what your credit score is! For more information about Kyle Chapman Motors, check out our blog! Here at Kyle Chapman Motors, we realize that no one is perfect, and neither is their credit. But that doesn’t mean that you shouldn’t be able to purchase a new vehicle. Our dealership will work with you to tailor a finance package that fits your needs, no matter what your credit score is. Customers at Kyle Chapman Motors can simply fill out a form on our website that includes contact info, employment info and details about the vehicle that you are looking at. Once this pre-approval form is completed and submitted, we work quickly to do our part to get you pre-approved. No matter if you are looking to rebuild your broken credit or would just like to have a smooth car buying process, Kyle Chapman Motors works to get you driving away in 90 minutes. Bring us your financial needs and see what we can do for you! Kyle Chapman Motors has a wide selection of pre-owned vehicles of all types for every driver on the market. If you want to know if we have a vehicle for you or if we can help you with your credit situation, contact us. A member of our team will be happy to help you! Previous PostCheck out these 5 tips for traveling this holiday season!Next PostAre Online Credit Applications Safe to Use? Where can I take my kids for an Easter Egg Hunt near Austin, TX? How Can I Make My Current Vehicle Last Longer? Check out these helpful tips for lowering your auto insurance bill! What should I know when buying a used vehicle? Follow this checklist if you have been involved in an accident!